Elegant models by Perchellet and/or his successor Mounquignon, are owned by shoe museums and collections around the world: MET, Museum of the City of New York, Shoe Icons, Fine Arts Museums of San Francisco, Charleston Museum; however very little is known about these two French houses. 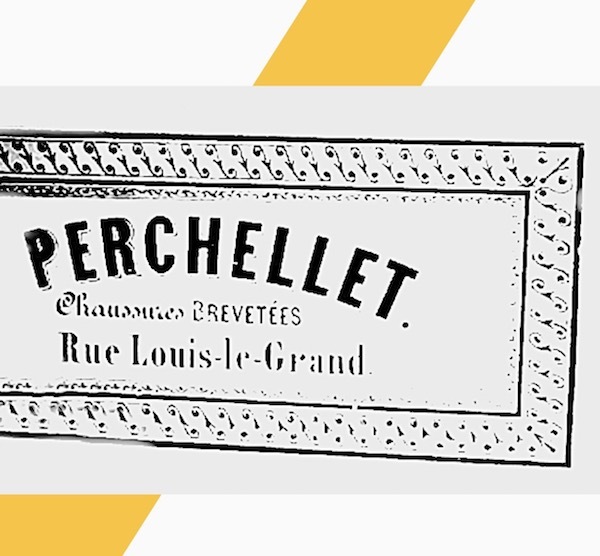 Ten years later - 1875 - we find the Maison L.Perchellet located in Paris, Rue Louis-le-Grand, 26. The Bata Museum in Toronto owns a pair of boots of this period, with the original shoe box edged with arsenical tape. In 1881 it was established the societé en nom collectif Perchellet et Chaumette, fab.de chaussures, with a share capital of 70.000 fr., located in Rue St-Honoré, 356 at the corner of Place Vendôme . 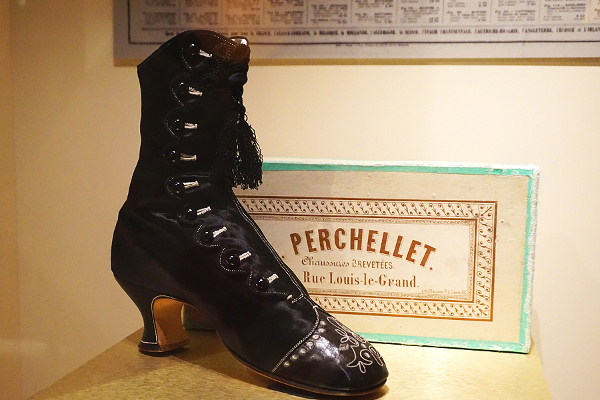 In 1889 Perchellet was listed among the exhibitors at the Exposition de Paris and was awarded with the gold medal (later to be reproduced on the insole label). A few years later, the brand was name-dropped by Paul Bercy in his short story «Mon Perroquet» as a «fashionable shoe-maker». 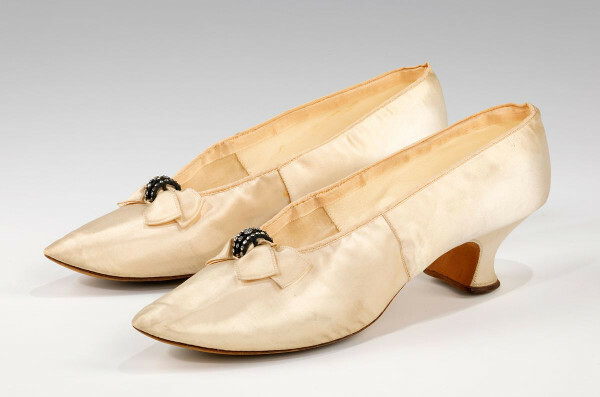 This pair of classic evening pumps (above) illustrates the French taste in the 1890s for a very short and tight vamp and high toe spring (up curve of the sole). American shoes of this period exhibit a much longer, shallow pointed toe with less spring. 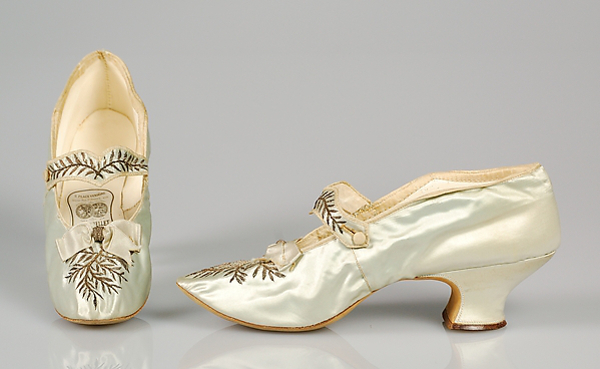 The superior quality of this pair by the noted Paris maker L. Perchellet is demonstrated by the refined S-curve of the sole and heel breast and the unusually fine silver-set rhinestone ornament. 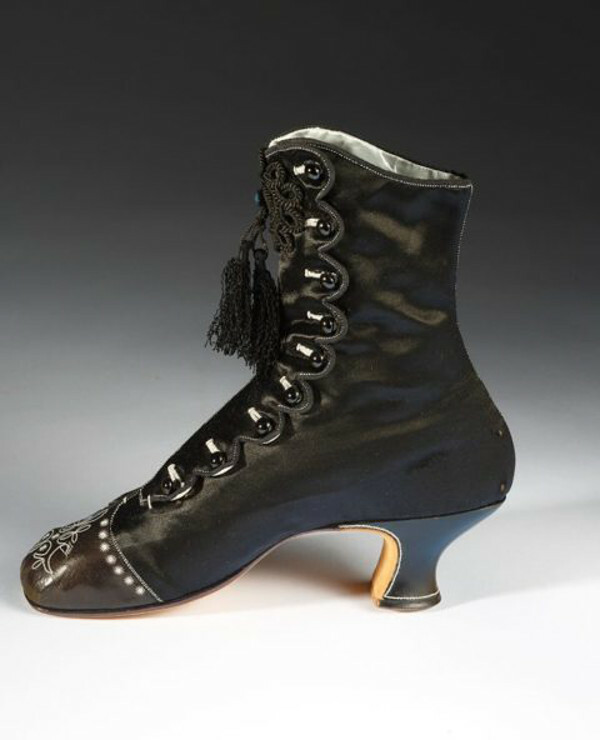 Donated in 1959 at the Brooklyn Museum, the shoes once belonged to Fernanda Wanamaker.